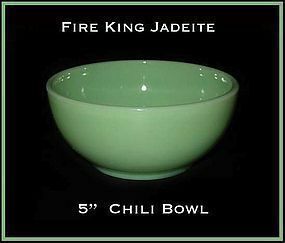 This Fire King Cottage Cheese bowl with green Davy Crockett graphics is in great condition for its age. We have 1 bowl available. 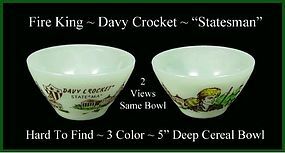 This 3 color Fire King Davy Crockett 5" cereal bowl has no chips or scratches, but has a few skips in the brown lettering graphics which was a common problem for this bowl and decoration. Every one we've ever seen has a skip in the lettering. 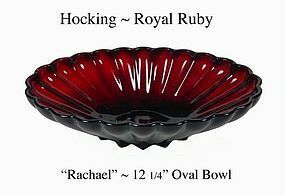 In any condition, this bowl is hard to find! 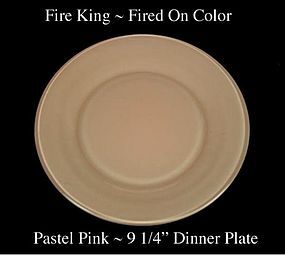 This Fire King fired on color, pastel pink dinner plate is in excellent condition. We have 2 pink dinner plates available @ $12.00 each. This Fire King fired on color, pastel yellow dinner plate is in excellent condition. We have 2 yellow dinner plates available @ $12.00 each. This Fire King fired on color, pastel green dinner plate is in excellent condition. 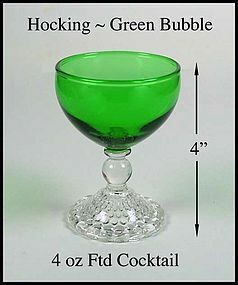 We have 2 green dinner plates available @ $12.00 each. This Fire King fired on color, pastel blue 9 1/4" dinner plate is in excellent condition. We have 3 blue dinner plates available @ $12.00 each. 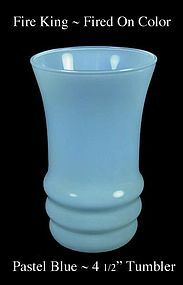 This Fire King fired on color, pastel blue water tumbler is in excellent condition. 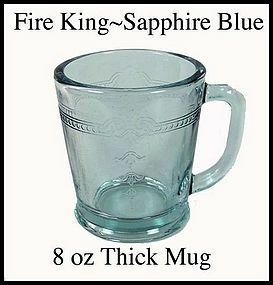 We have 2 blue water tumblers available @ $15.00 each. 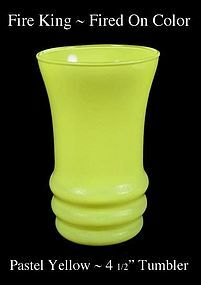 This Fire King fired on color, pastel yellow water tumbler is in excellent condition. We have 2 yellow water tumblers available @ $15.00 each. 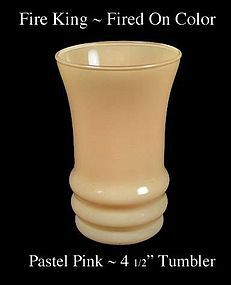 This Fire King fired on color, pastel pink tumbler is in excellent condition. 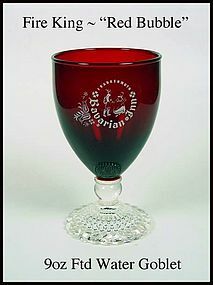 We have 2 pink tumblers available @ $15.00 each. 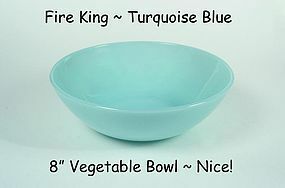 This Fire King fired on color, pastel green water tumbler is in excellent condition. 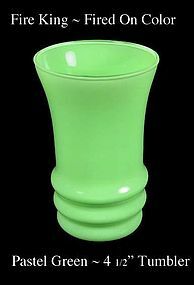 We have 2 green tumblers available @ $10.00 each. 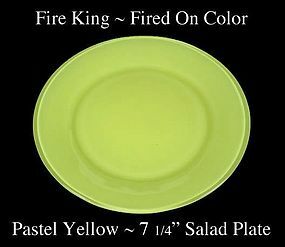 This Fire King fired on color, pastel yellow salad plate is in excellent condition. We have 2 yellow salad plates available @ $10.00 each. 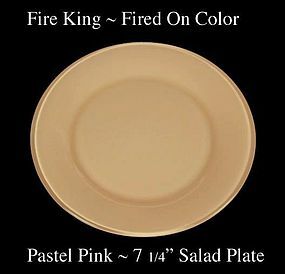 This Fire King fired on color, pastel pink salad plate is in excellent condition. We have 2 pink salad plates available @ $10.00 each.